Statue in modern Sparta to commemorate King Leonidas I, who led the Spartan army at the Battle of Thermopylae. The Spartan army stood at the centre of the Spartan state, whose citizens were trained in the discipline and honor of the warrior society. Subject to military drill from early manhood, the Spartans were one of the most feared military forces in the Greek world. 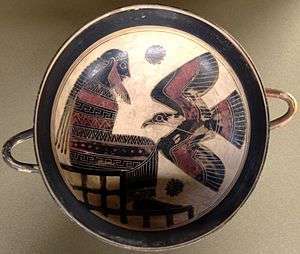 At the height of Sparta's power – between the 6th and 4th centuries BC – it was commonly accepted that "one Spartan was worth several men of any other state." According to Thucydides, the famous moment of Spartan surrender on the island of Sphacteria, off Pylos, was highly unexpected. He said that "it was the common perception at the time that Spartans would never lay down their weapons for any reason, be it hunger, or danger." The iconic army was first developed by the semi-mythical Spartan legislator Lycurgus. Referring to Sparta having a "wall of men, instead of bricks", he proposed to reform Spartan society to create a military-focused lifestyle in accordance with "proper virtues" such as equality for the male citizens, austerity, strength, and fitness. A Spartan man's involvement with the army began in infancy when he was inspected by the Gerousia. If the baby was found to be weak or deformed he was left at Mount Taygetus to die, since the world of the Spartans was no place for those who could not fend for themselves. It should be noted, however, that the practice of discarding children at birth took place in Athens as well. Those deemed strong were then put in the agoge regime at the age of seven. Under the agoge the young boys or Spartiates were kept under intense and rigorous military training. Their education focused primarily on cunning, sports and war tactics, but also included poetry, music, academics, and sometimes politics. Those who passed the agoge by the age of 30 were given full Spartan citizenship. The term "spartan" became synonymous with fearlessness, harsh and cruel life, endurance or simplicity by design. Inevitably, these two powers collided. Initial Argive successes, such as the victory at the Battle of Hysiai in 669 BC, led to an uprising of the Messenians, which tied down the Spartan army for almost 20 years. Over the course of the 6th century, Sparta secured her control of the Peloponnese peninsula: Arcadia was forced to recognize Spartan overlordship; Argos lost Cynuria (the SE coast of the Peloponnese) in about 546 and suffered a further crippling blow from Cleomenes I at the Battle of Sepeia in 494, while repeated expeditions against tyrannical regimes throughout Greece greatly raised their prestige. By the early 5th century, Sparta was the unchallenged master in southern Greece, as the leading power (hegemon) of the newly established Peloponnesian League (which was more characteristically known to its contemporaries as "the Lacedaemonians and their allies"). For more details on this topic, see Spartan hegemony. One could be demoted from Spartiate status for a number of reasons such as cowardice in battle or the inability to pay for membership in the syssitia. 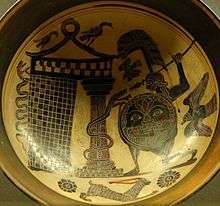 Inability to pay became such an increasingly severe problem because commercial activity had started to develop in Sparta. Some Spartiates had to sell the land from which they drew their income. As the constitution made no provisions for promotion to Spartiate caste, numbers gradually dwindled. The third and most numerous class were the Helots, state-owned serfs used to farm the Spartiate klēros. By the 5th century BC, the helots too were used as light troops in skirmishes. The full army was nominally led in battle by the two kings; initially, both went on campaign, but after the 6th century BC only one, with the other remaining at home. Unlike other states, their authority was severely circumscribed; actual power rested with the five elected ephoroi. The kings were accompanied by a select group of 300 men as a royal guard, who were termed hippeis ("cavalrymen"). Despite their title, they were infantry hoplites like all Spartiatai. Indeed, the Spartans did not utilize a cavalry of their own until late into the Peloponnesian War, when small units of 60 cavalrymen were attached to each mora. The hippeis belonged to the first mora and were the elite of the Spartan army, being deployed on the honorary right side of the battle line. They were selected every year by specially commissioned officials, the hippagretai, from among experienced men who had sons, so that their line would continue. For more details on this topic, see Agoge. For more details on this topic, see Phalanx formation. During the Hellenistic period Spartan equipment evolved drastically. 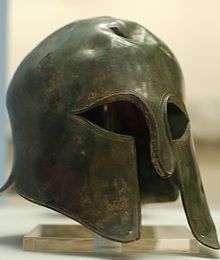 Since the early 5th century BC the pilos helmet had become almost standard within the Spartan army, being in use by the Spartans until the end of the Classical era. Also after the "Iphicratean reforms" peltasts became a much more common sight on the Greek battlefield and themselves become more heavily armed. 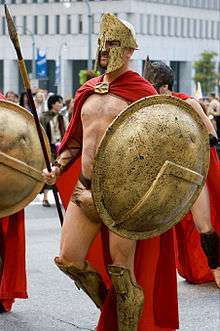 In response to Iphicrates' victory over Sparta in 392 BC, Spartan hoplites started abandoning body armour and eventually wore almost no armour apart from a shield, leg greaves, bracelets, helmet and a robe. In later periods Spartans did start to readopt armour, but on a much lesser scale than during the Archaic period. 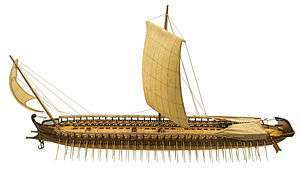 Finally during 227 BC, Cleomenes' reforms introduced updated equipment to Sparta, including the Macedonian sarissa (pike). 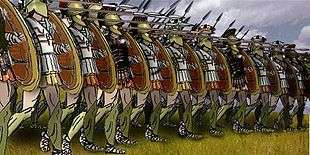 However pike-men armed with the sarissa never outnumbered troops equipped in the hoplite style. It was also in that time Sparta adopted its own cavalry and archers. For more details on this topic, see Laconic phrase. Contrary to popular belief, Spartans valued knowledge and education more than the Athenians did. 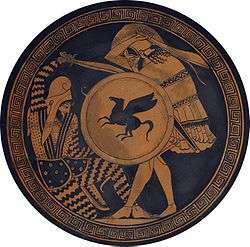 Spartan philosophers include Lycurgus and Chilon of Sparta. Although Athens has been praised as the "inventor" of democracy and philosophy, Sparta often has been viewed in popular culture as a society characterized by brutal, mindless discipline and merciless emphasis on physical fitness. Sparta, however, had its own democratic government. Sparta also wasn't a totalitarian state as many believed. In the Appella or Demos as early as 700 BC, Spartans elect leaders and voted by range voting and shouting. Every male age 30 and above could participate. Aristotle called the Spartan electoral process "childish" in contrast to the stone ballots cast by the Athenians. Sparta adopted its procedure for the sake of simplicity, and to prevent any bias voting, bribing, or cheating that was predominant in the early democratic elections. For more details on this topic, see Battle of Thermopylae in popular culture. Many colleges and universities have the Spartan as a school mascot, some of which include Michigan State University (see also Sparty, Michigan State's costumed mascot) and San Jose State University. The Spartan South Midlands Football League is an English football league named after them. ↑ Hodkinson, Stephen (1996). "Agoge". In Hornblower, Simon. Oxford Classical Dictionary. Oxford: Oxford University Press. 1 2 Holland, Tom. Persian Fire: The First World Empire and the Battle for the West. Anchor. ISBN 0-307-27948-0. ↑ Lane Fox, Robin. The Classical World: An Epic History from Homer to Hadrian. Basic Books. ISBN 0-465-02496-3. ↑ Miller, William Ian (2002). The mystery of courage. Harvard University Press, 2002. p. 98. ISBN 978-0-674-00826-7. ↑ "Spartan armor". Marvel Comics. July 16, 2012. Retrieved July 16, 2012. ↑ Cleomenes III in 223/2 BC allowed Helots to become free by paying 500 drachmas; 6000 helots paid.